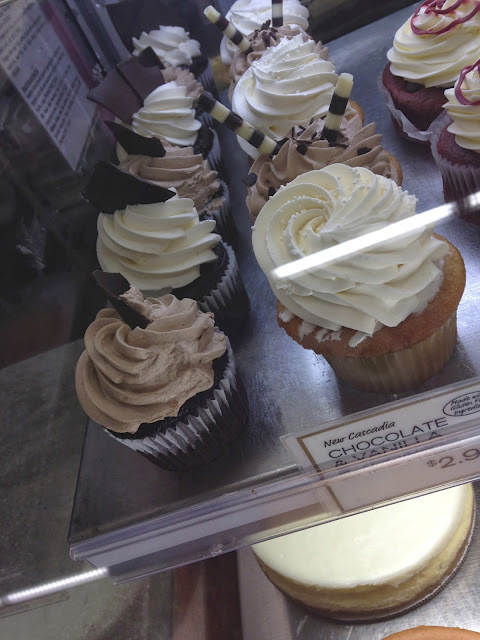 My mom and I were grocery shopping and we went to New Seasons. I had my gift card that I won so I went to the cupcake area and chose a vanilla cupcake with chocolate frosting from New Cascadia. 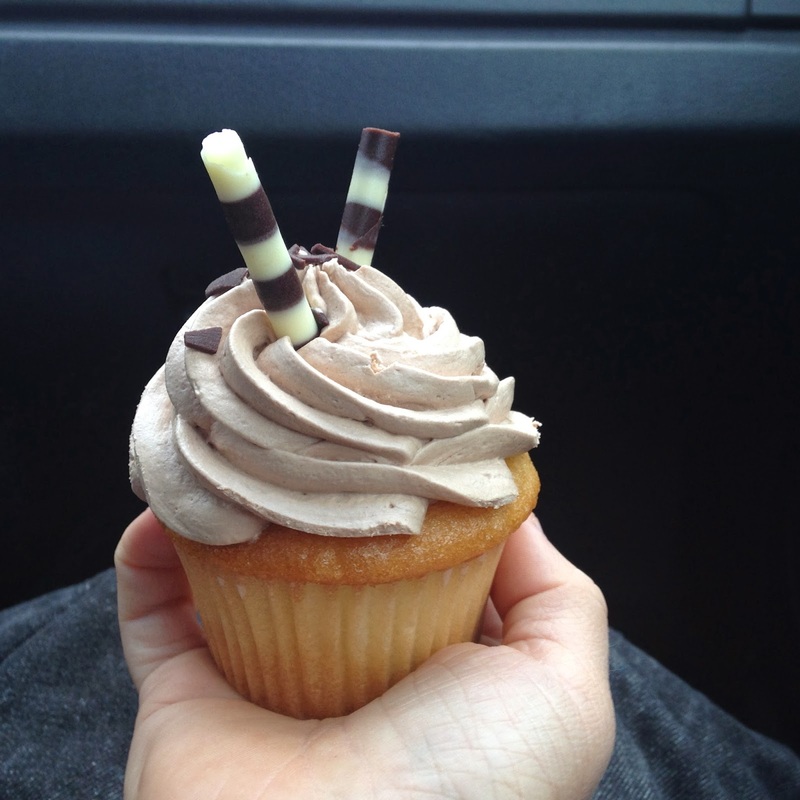 The frosting was at first hard, because it was refrigerated, then it softened in the car. Now it tasted like chocolatey butter. The candy sticks tasted like chocolate and vanilla swirl. The cake is vanilla and I LOVE vanilla, and it tastes moist; it's soft, nice in my mouth, and it's powdery, in a good way, not grainy. 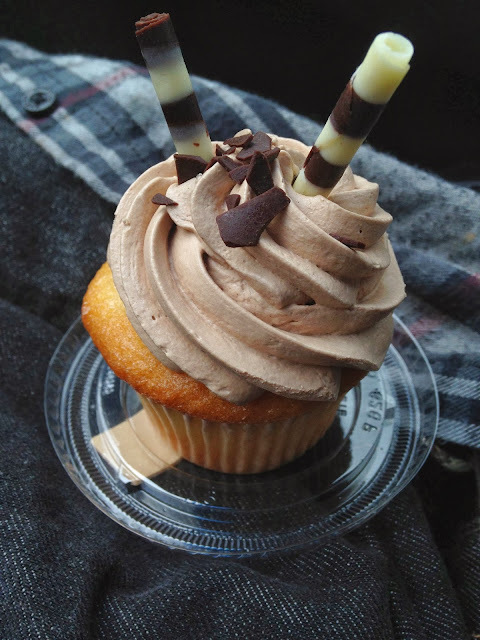 You should go get one of these cupcakes at New Seasons or New Cascadia, they are delicious! Fancy, divine, wonderful.